There are 32 reviews of Chloé Narcisse. I recently purchased a 50ml EDP in the purple box and it is more like the Narcisse I remember from the 90's. The Narcisse that you can buy with spare change at chemists or department stores has a plasticky tone that can singe the inside of your nostrils when you first spray. After half an hour it calms down but it can be challenging and for everyone else in a 1 metre radius to cope with till then. The EDP seems to be just as strong but not as offensive or synthetic. It seems, (to my nose) settle and begin the lovely dry down to a base which is lovely, creamy and truly nuzzle worthy. Although I have just bought this bottle of EDP, I am thinking I am going to buy another and stash in my cupboard. I have a feeling this EDP may be one of the fragrances that I will be missing, unable to find in a few years and not easily replaceable. My signature scent. I've PROACTIVELY TRIED to find another perfume which smells as alluring and flat out "delicious" on me, and I've not succeeded. I like Michael Kors, Michael - nice floral, woodsy drydown, but it doesn't LAST! And I find myself longing for the aroma of my Narcisse. Beautiful, rich floral (do NOT overdo it! I buy the minis - and literally a few body dabs does the trick for the entire day). Floral, spicy, with an attracting force of its own. I'm trying to think of the exact feeling this scent gives me - there's nostalgia there, and romance - but only when I'm in the right mood. Otherwise this is headache inducing and way too heavy. Bought a bottle of this on impulse while on vacation. While I really enjoyed the bottle I never bought another as this fragrance was just not "me". It is a very unique, complex, potent floral. What a bizarre list of notes it has! Whatever, it works well for some. Everytime I see it (which, unfortunately is not often) take a whiff as it transports me back to that wonderful vacation. It is amazing how fragrances can do that. My Narcisse is a bottle of older stuff bought for pennies off eBay. 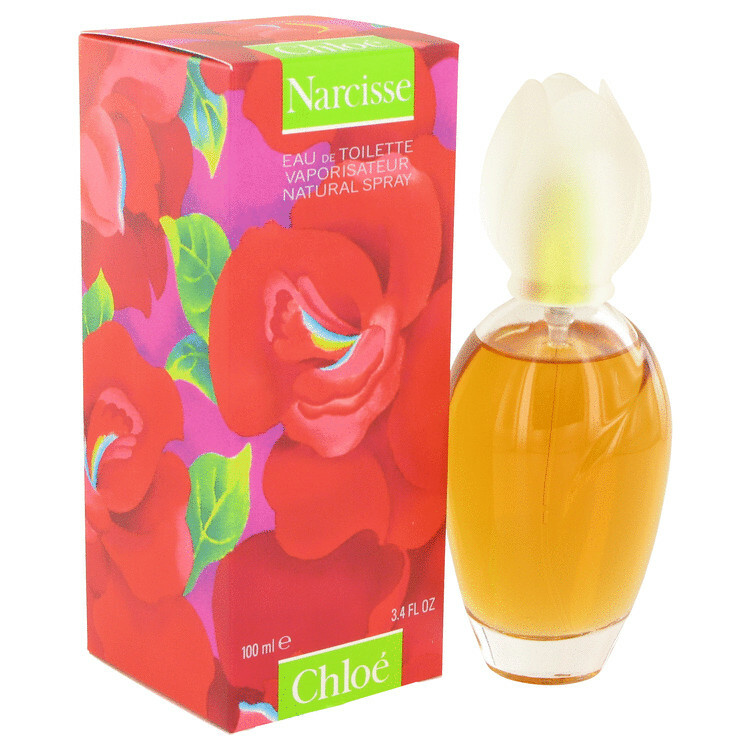 Chloe Narcisse is in the style of an 80s tuberose so wear with caution! Whilst tuberose isn't listed the narcissus in this gives the impression of a heady, narcotic tuberose which I enjoy. Well blended and certainly white floral, the apricot is subtle and adds a little much needed tartness rather than sweetness. The spice supports the narcotic and sultry effect. Makes me think of a Southern Belle, perfectly groomed, sat on the porch with a JD & coke. In fact Chloe Narisse is hat the YaYas in the ZyaYa Zsiterhood should have worn! 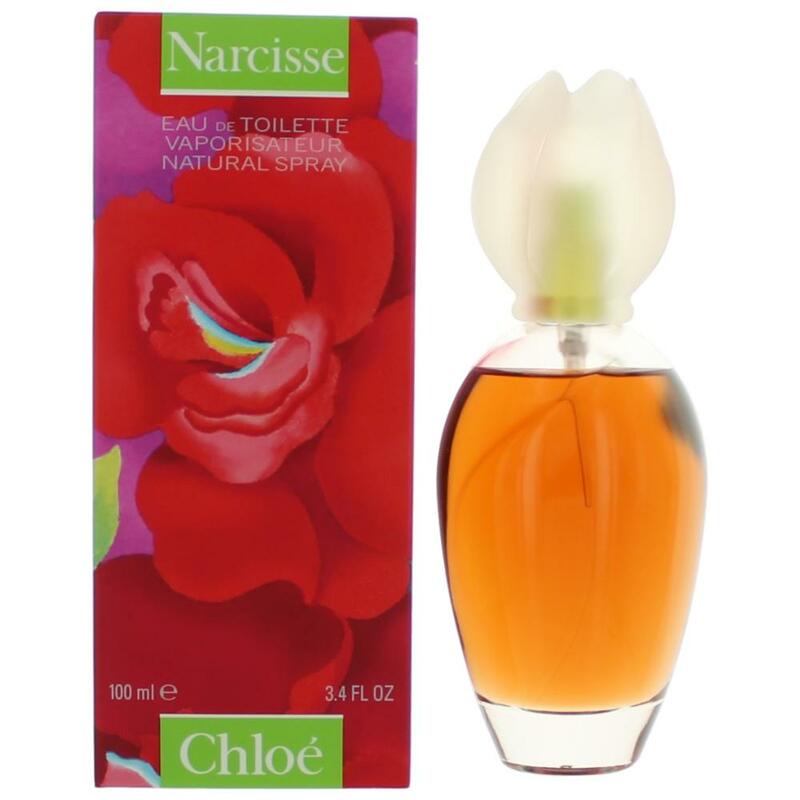 Narcisse Chloe 1.7 oz Women Eau De Parfum New Tester With Box And Cap...VINTAGE.